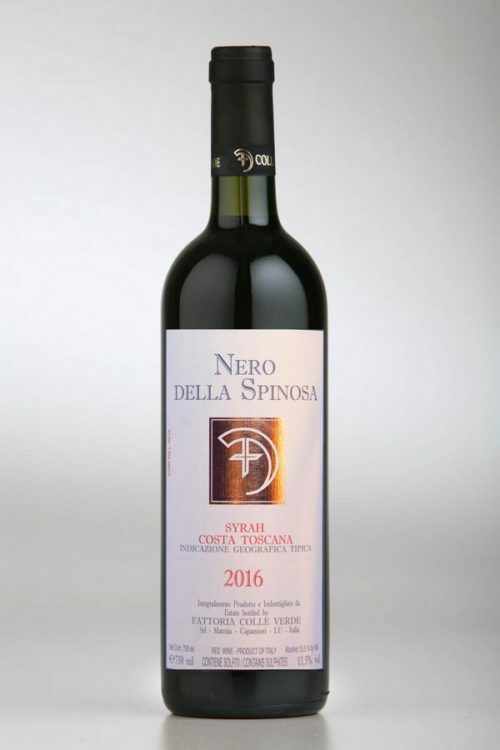 Nero della Spinosa is made entirely from Syrah grapes grown on vines planted in an area traditionally home of a family of porcupines (Hystrix cristata), those primitive and prickly nocturnal beasts Tuscans call spinose. We like to think that something of their character is reflected in the deep color and full body of this wine aged for over two years in cask barrels. All grapes are softly pressed with the feet, and no selected yeasts are added. Fermentation takes place in small 500 kg open vats. Strawberry and chocolate notes. Full-bodied with raspberry and black pepper flavors. With silky tannins and a clean, fruity finish. Ideal for wild boar and roasted meat. Vineyard location: Hills of Matraia (Lucca): 220m a.s.l.